(a) Remove the HORN relay from the engine room J/B. (b) Measure the HORN relay resistance. (a) Check operation of the horn. 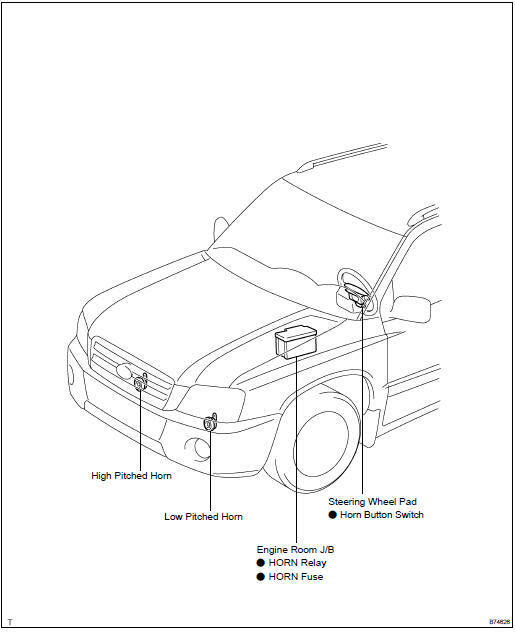 If the result is not as specified, replace the horn assy.